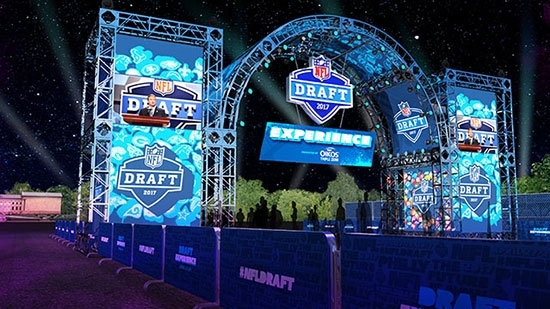 This week's NFL Draft will be a football fan's paradise and that's not including representatives from every team picking future stars over seven rounds and three days. The parkway will be transformed into a wonderland of NFL activities from autographs and memorabilia to locker rooms and the Vince Lombardi trophy. However, stuck right in the middle of all the sports adrenaline there is a 'Music Stage' that will be hosting performances by some of Philadelphia's best artists. Give it up to the event producers for reaching out to local artists instead of grabbing some national act. On Friday, Good Old War, Chill Moody, and Strand of Oaks will perform. On Saturday, Tunji Ige and The Districts will take the stage (see schedule below). Heading down to the NFL Draft those two days is worth it just for those music performances, and remember it's free. The Music Stage is located on the NFC side of the festival grounds up by Eakins Oval. 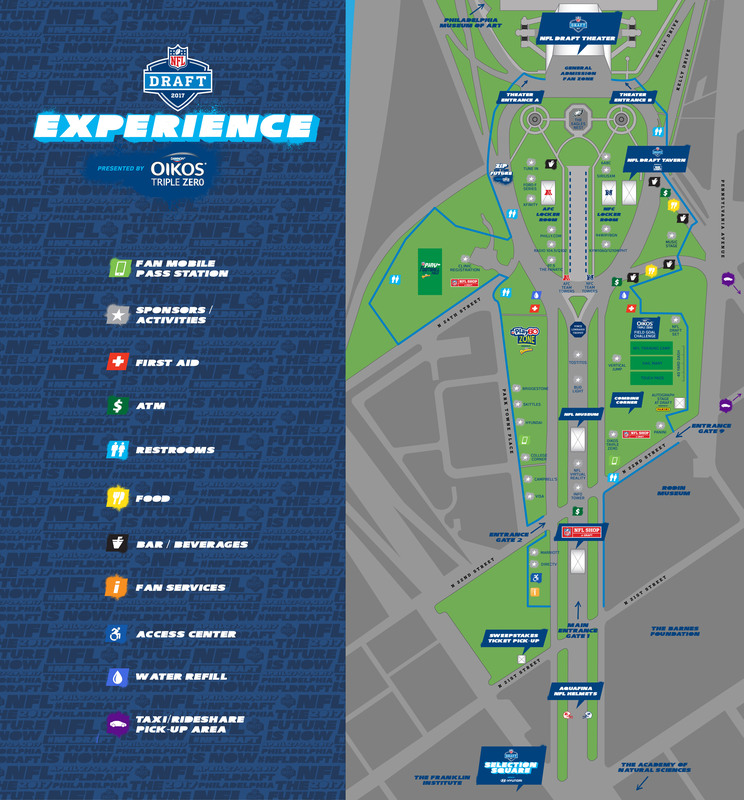 The NFL Draft Experience 2017 along the Benjamin Franklin Parkway opens on Thursday, April 27th at Noon and runs through Saturday, April 29th at 6pm. The event is FREE and open to the public. Here is the full schedule of events and player appearances.